Symmetry Hair Salon is a modern family salon. 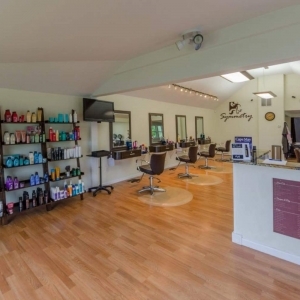 In a modern and spacious setting, we proudly offer haircuts for men, women and children. At Symmetry our focus is on constant education for our stylists so that we ensure that all the services we provide or delivered properly and professionally. Our talented and experienced stylists specialize in haircoloring, cutting and styling. Appointments are suggested but we also accept walk ins. Symmetry now also offers massage by appointment.